This braised chicken dish from a recent Jamie Magazine was really delicious. I was first attracted to making it by the accompanying photo but looking at the ingredient list I had my doubts as to how well it would turn out. My fears were unfounded though as it really kicked a punch flavour wise. With the obvious Middle Eastern overtones, due to the pomegranate, this would go perfectly with some rice or cous cous. The only thing to watch is that the sauce doesn’t get overly reduced as it can then veer towards being a little too tart. I cooked it for longer than the 30 minutes stipulated as I really like my chicken to be falling off the bone and managed to save it in the nick of time from being too thickened. Also don’t be put off by using the chilli even if making it for the family as it wasn’t hot at all, and I didn’t even take the seeds out. Heat the oil in a casserole over medium heat. 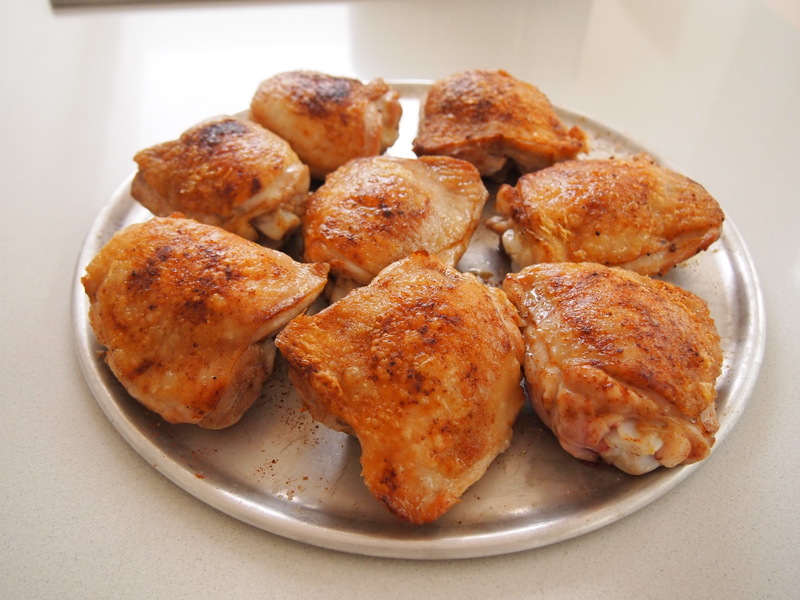 Season chicken with salt, pepper and paprika, then brown in the hot oil until chicken is nice and golden brown. Remove to a plate and set aside. In the same pan, add another splash of oil with the onions. Stir well being being sure to catch the sticky bits at the bottom of the pan. Cook slowly for 15minutes, till onions are soft, adding the chilli, garlic and coriander for the last 5 minutes. 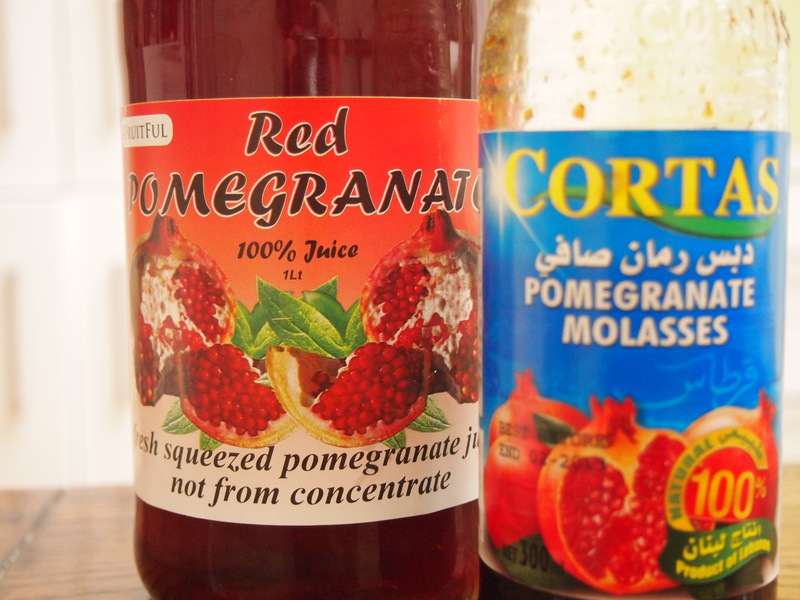 Stir in passata, molasses, pomegranate juice and water. Season well, then bring to the boil. Return the chicken with any juices to the pan, cover and lower heat. 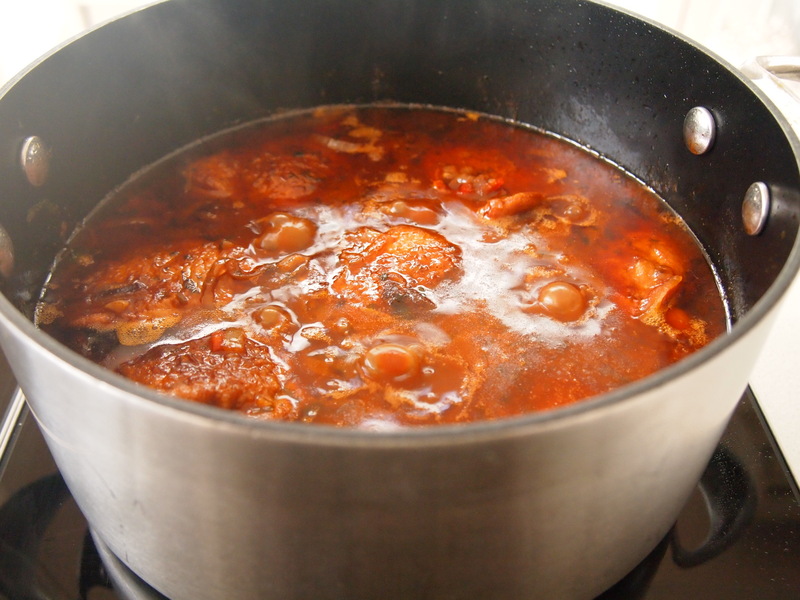 Simmer for 45 minutes – 1 hour, until the chicken is falling off the bone and the sauce has thickened. 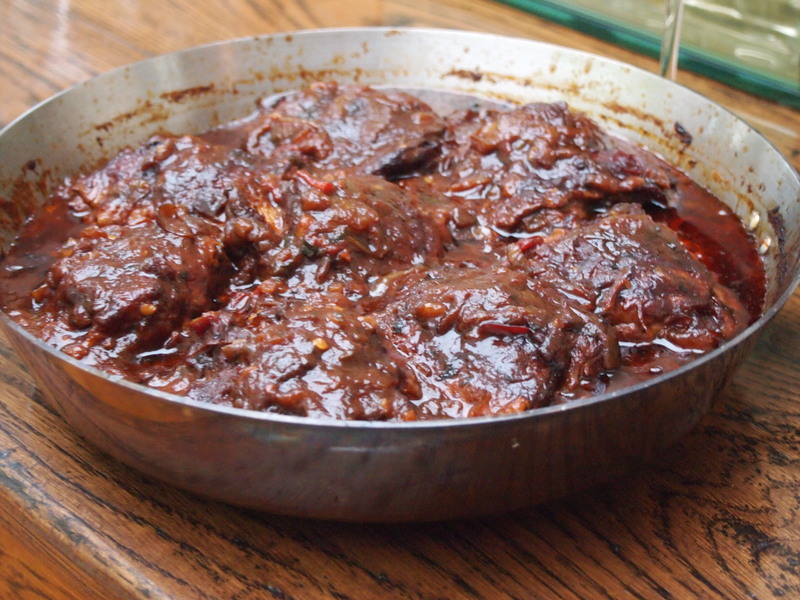 Check often to ensure it’s not sticking and if the sauce is getting to thick add another tablespoon or two of water.